Shares of United States Steel Corporation (NYSE: X) were up on Tuesday as the company prepares to report its first quarter financial results after the market closes. According to Estimize, there is a big divergence between experts’ expectations and the crowd’s expectations. Wall Street analysts are modeling consensus EPS of $0.27 on revenue of $3.5 billion. The crowd, for its part, projects consensus EPS of $0.50 on revenue of $3.694 billion. In the first quarter of 2014, the company reported EPS of $0.34; this means that while the crowd is expecting considerable year-over-year growth, the Street is anticipating a substantial decline. 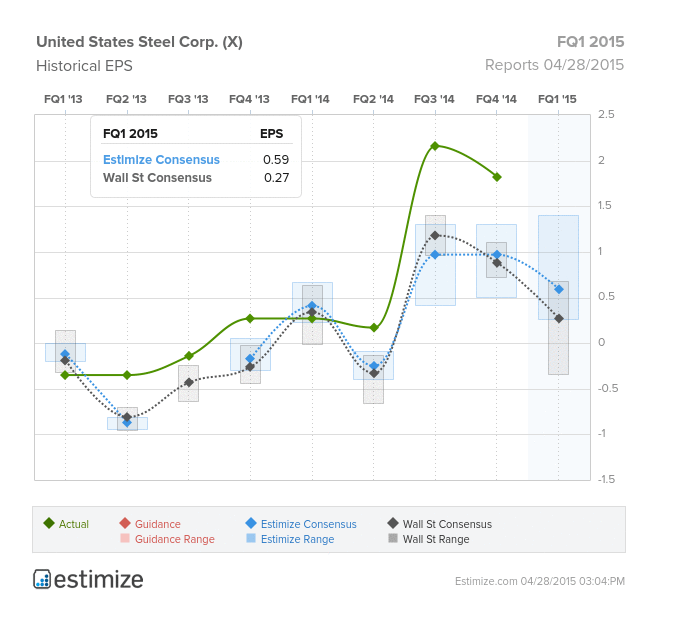 However, it is important to note that U.S. Steel beat consensus in the last three consecutive quarters. It is also possible to see how estimates have changed over time. 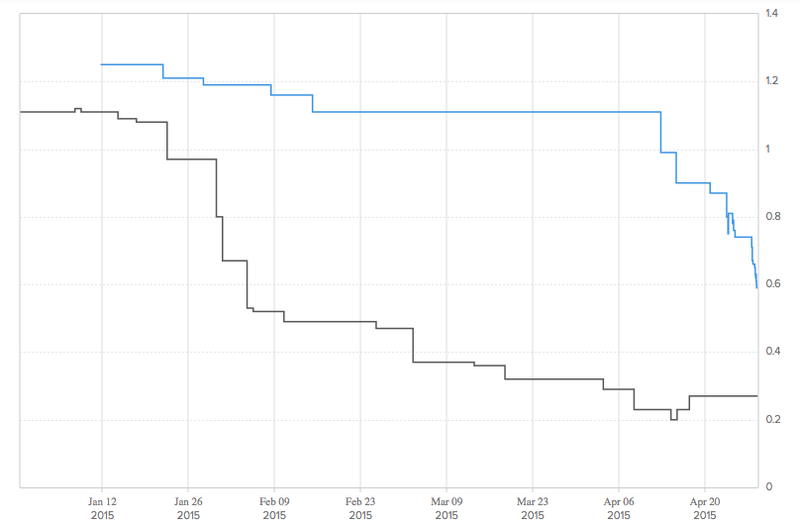 Estimates have been consistently falling over the quarter, with both the crowd and experts losing confidence in the company – crowd sentiment experienced a particularly steep decline over the past few days. Citigroup also maintains a Sell rating and a $15 price target. Barclays maintains an Equal-weight rating and a $24 price target. Deutsche Bank is the most bullish, rating the stock a Buy and fixing the price target at $45.